How to display a short text entry as the next field based on selection? 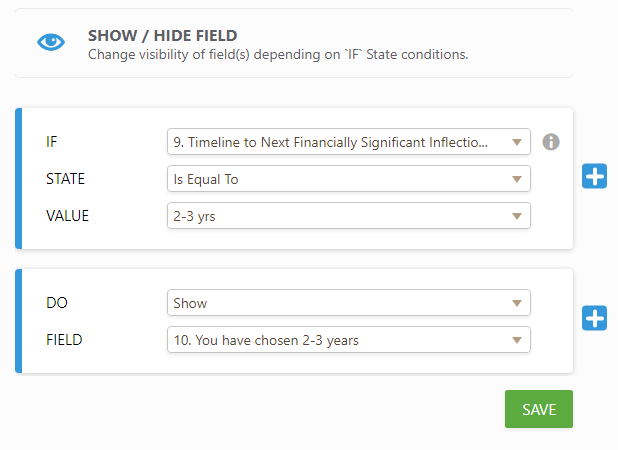 You may setup a condition on the form to show the field when the selected option is 2-3 years as shown below. In the same way, if you have other fields to be displayed based on other options you can setup similar conditions on the form. Please note that the fields will be displayed on the form only when the rule set in the condition is passed. It is not required to setup another condition to hide the fields.